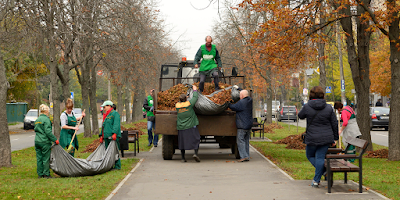 Fall is finally here, and there’s no better time to get involved in your community. It’s not too hot and not too cold, which means it’s the perfect time to be outside! And, as you get ready to hunker down for winter, there are lots of ways to consider your neighbors in need. We’re sharing a few easy ways you can get involved in your community this fall, and simple tips for giving back. Take advantage of the cooler weather and spend some time outside helping a neighbor or working with a local organization to clean up a beach, plant some trees, or tidy up a park. You can use Charity Navigator’s Advanced Search Tool to find an organization in your area. Reach out to them to see what volunteer opportunities they have available this fall. Want to make it more fun? Invite a friend or family member to join you. You’ll enjoy your time giving back together. Before you head outside, take a look at our guide to volunteering. Many of us enjoy a warm meal when the weather starts to change. Nothing tastes better than a hot bowl of soup after a long afternoon of raking leaves. But, for some, a hot meal is not a guarantee. Help your local food pantry stock their shelves for the holidays and colder my months by donating groceries and other supplies. Or, volunteer your time helping them sort donations, organize their shelves, and serve clients. Check out our tips for supporting your local food bank here. This year, as you switch your summer clothes out for winter ones, take a moment to sort through what you have. Consider donating unwanted sweaters, pants, and coats to your local thrift store or homeless shelter to help keep your neighbors warm this winter. Here are a few tips to consider before you donate coats and clothing. Tell us how you’re giving back in your local community, or share other ways easy ways to help your neighbors this fall.